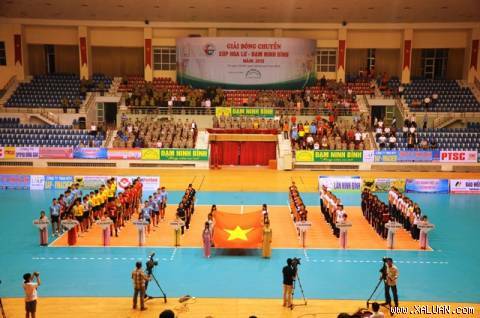 HA NOI (VNS) — The Hoa Lu Volleyball Cup is scheduled to take place in the northern province of Ninh Binh's Gymnasium on March 15-19. Four men's teams (Trang An Ninh Binh, The Cong, Border guards, and Phu Tho Police) and four women's teams (PVD Thai Binh, Lien Viet Postbank, Tien Nong Thanh Hoa, and Viet Nam Bank for Industry and Trade) will be vying for the cup. The defending champions, Trang An Ninh Binh, are expected to try their best to retain their title.